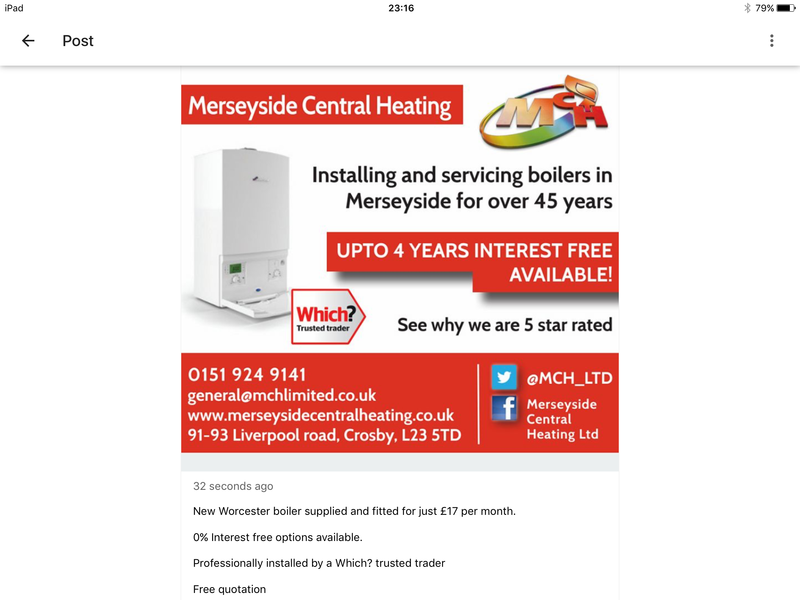 Merseyside Central Heating is a family run business with over 45 years of Installing,servicing and maintaining central heating boilers and systems. 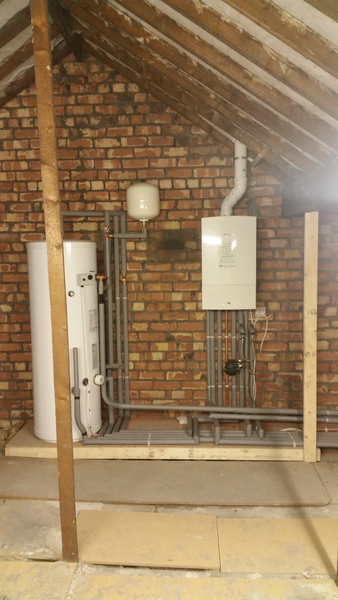 Our company has gone from strength to strength and we have built up a large selection of customers who regularly have their systems installed serviced by our team of Gas Safe engineers. 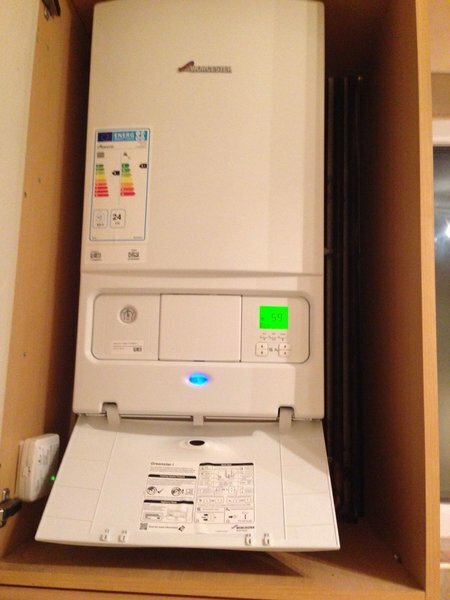 All our systems are designed to a High Efficiency using boilers such as Worcester, Baxi and Vaillant to name a few.These systems also come with upto a 10 year 'no quibble' parts and labour guarantee, but things don't stop there, after the initial guarantee period expires we offer a worry free 365 day Maintenance Plan. I found MCH Ltd a pleasure to deal with. From first phone call through to installation. They were a pleasure to have in my house. Unlike a previous company who tried to make me sign on the day, MCH made me feel relaxed with their no pressure salesman. 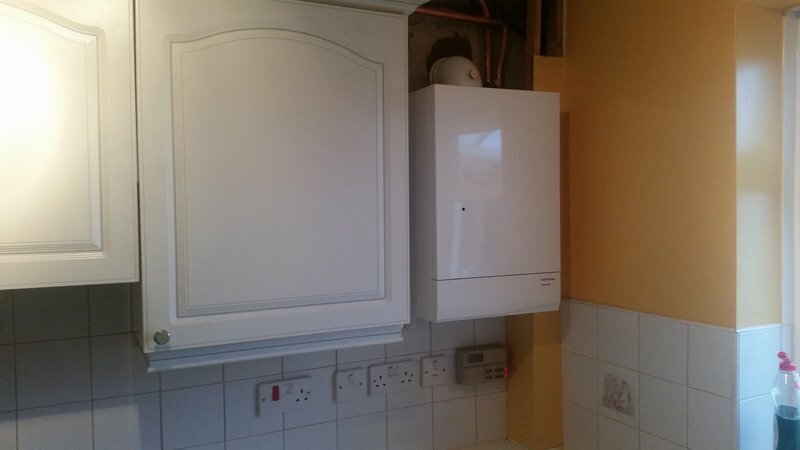 Merseyside Central Heating Ltd came to my parents house and fixed the boiler very fast and in a professional way. The service was very efficient: I would recommend MCH to anyone. 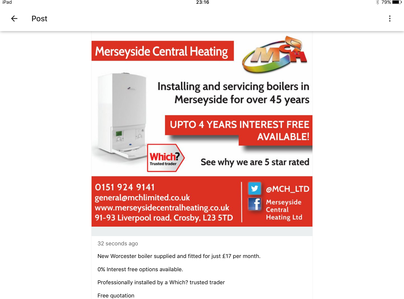 I have been a customer of Merseyside Central Heating Renewables Ltd for over thirty years, and have recommended them to many people over the years. I trust them to be honest, reliable, friendly, and their prices are fair. The company is excellent, from the very first visit to the final goodbye they are brilliant, I had new central heating systems and boiler. They are honest, experienced, nothing is too much trouble, courteous and hard working and respectful of my property. Thank again Lads! Very professional, speedy job, recommend to my friends. Excellent, friendly service. Nothing was too much trouble for the fitter. Explained things clearly when necessary. Would not hesitate to use again and recommend. Very informative commissioning, clear and precise, by a very competent engineer! Very helpful, full marks! Excellent job from start to finish. Highly recommended. 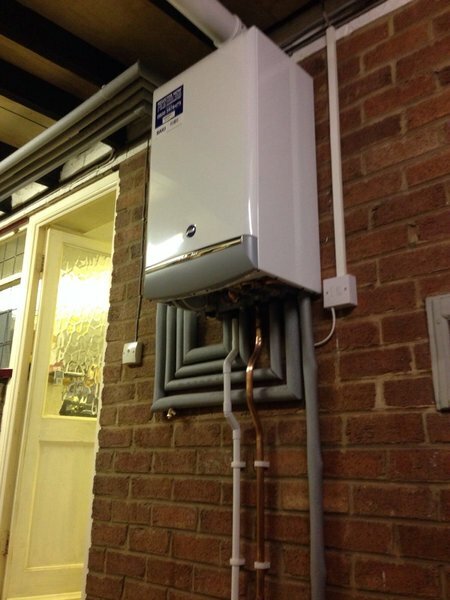 Installation and annual boiler service have been done very professionally with plenty of helpful, good advice. During installation of the system, plenty of care taken with attention to the fabric of the house i.e. woodwork and carpets. Highly commendable.